We have two fantastic deals available all through JANUARY! 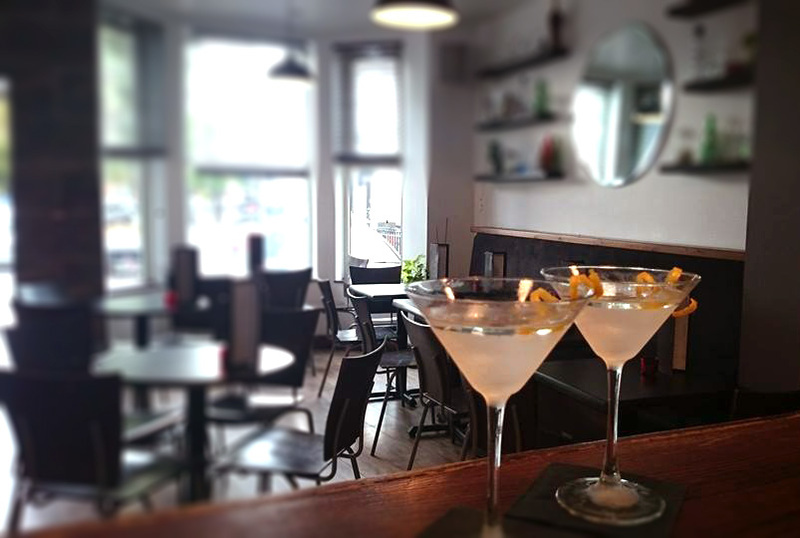 SUNDAY to THURSDAY, enjoy an amazing discount on your bar tab: Spend £30+ for -30%. 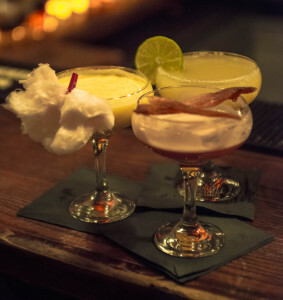 Every FRIDAY & SATURDAY, you can buy two Foolproof Cocktails for only £10! It’s not Terry’s, it’s yours! 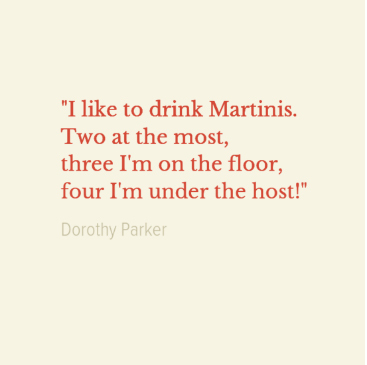 And we can guarantee you’ll drink the whole thing and immediately make another. Everyone’s got their favourite Christmas chocolate and this is definitely one of ours. The flavours of chocolate and orange are a classic and suitably indulgent for a Christmas cocktail recipe. So, why not take another Christmas classic cocktail, the Eggnog Flip, and marry them together. 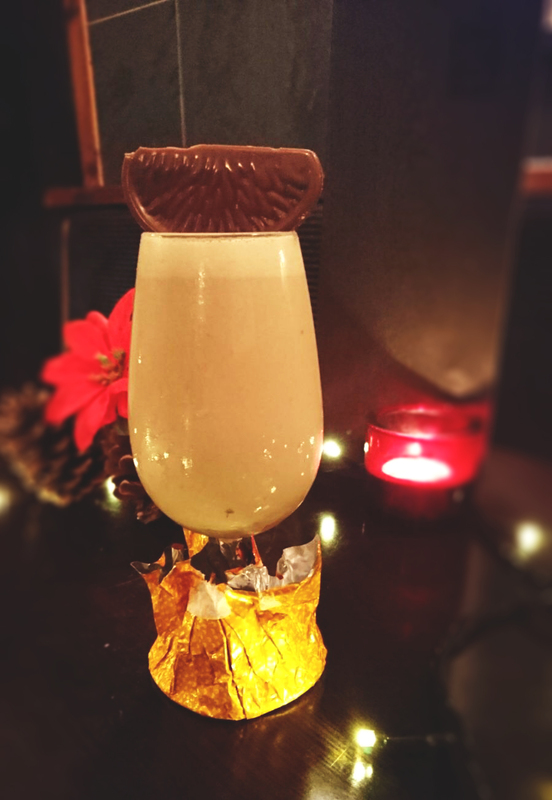 Mozart chocolate liqueur, fresh Cointreau and Cacao Blanc blended with egg and cream. Ultra-indulgent (because that’s what Christmas needs more of…? ), it’s a new combo that’s as classic as Mary and Joseph. In a boston tin, mix all the ingredients together with a spoon and then dry-shake to emulsify the egg (yes, there’s a whole one in there). Strain into a glass and dust with a little grated fresh nutmeg and top with a segment of chocolate orange (or at least 3 if it’s Christmas day….). Christmas party number seven done and it’s not even Christmas Eve yet. Feeling like you need a break from rich Christmas indulgence already? 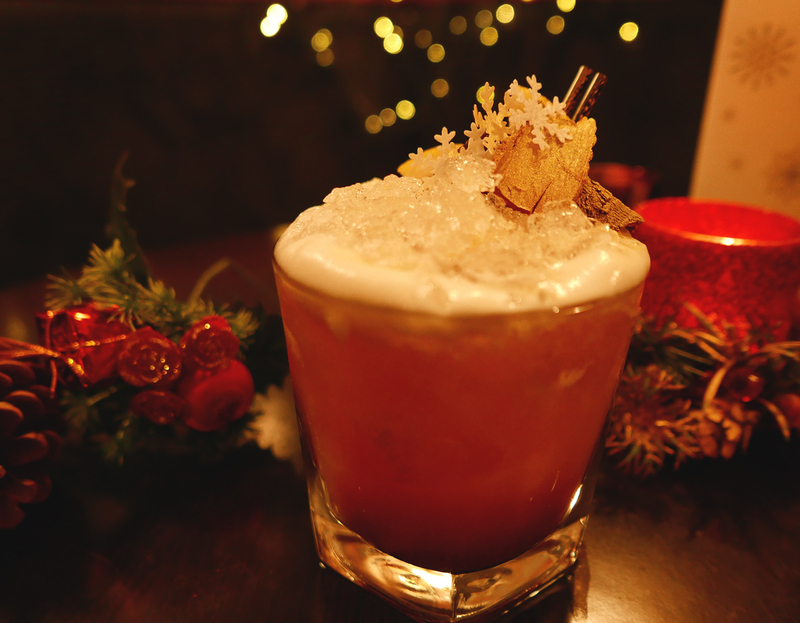 Our new favourite Christmas seasonal, Fairytale of New York, gives you just that. A festive take on a New York Sour (a classic whiskey sour cocktail with red wine), it still incorporates festive spice whilst giving you something more refreshing than a rich, creamy cocktail. We blend Christmas spices and cinnamon sugar to balance out the sharpness of the sour, and top it with mulled wine for a little bit of luxury. You still need a little indulgence…it is Christmas after all. In a boston shaker, shake all the ingredients together, except the mulled wine. Strain the ingredients into a rocks glass with ice and top with the mulled wine. Garnish with edible snowflakes and glitter spray – definitely not optional!! 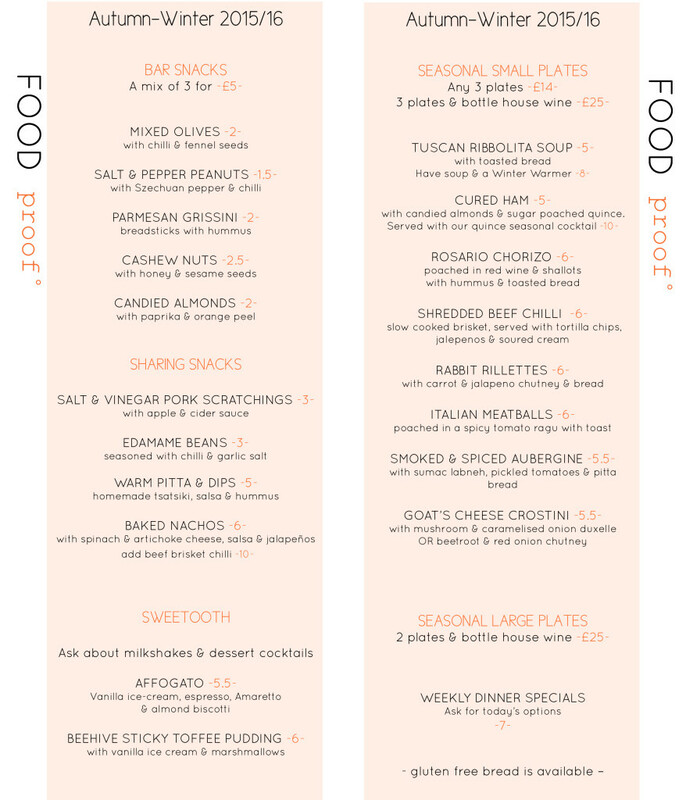 Check out the rest of our winter menu and seasonal favourites. There’s nothing more warming than the cosiness of a good bit of bourbon. With plenty of booze and the tangy flavours of orange zest, the Old Fashioned is a classic cocktail perfect for this time of year. A simple combination of sugars and booze, aka the best kind of drink, this cocktail recipe can be played with to suit your taste. 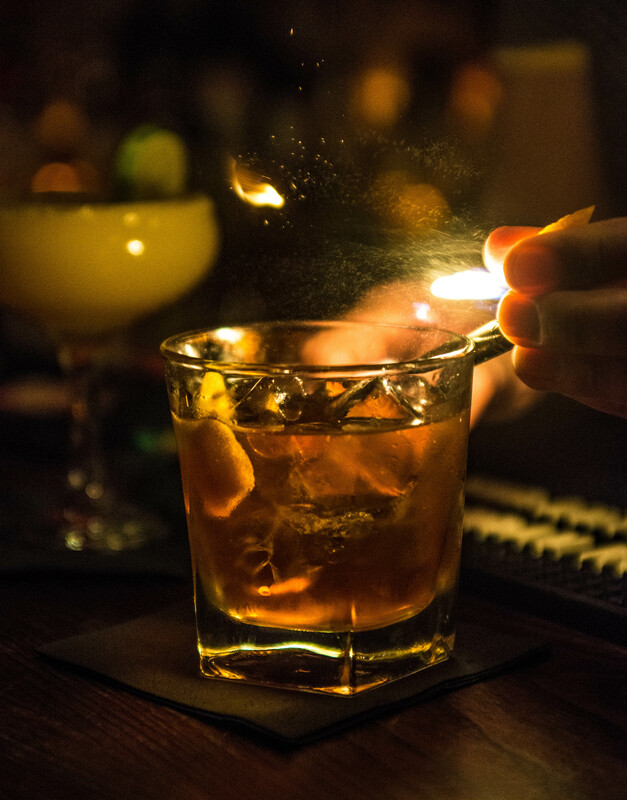 Choose a cosy bourbon, like Blanton’s Bourbon or Jim Beam, or if rum is more your tipple, El Dorado Rum makes a great cocktail. 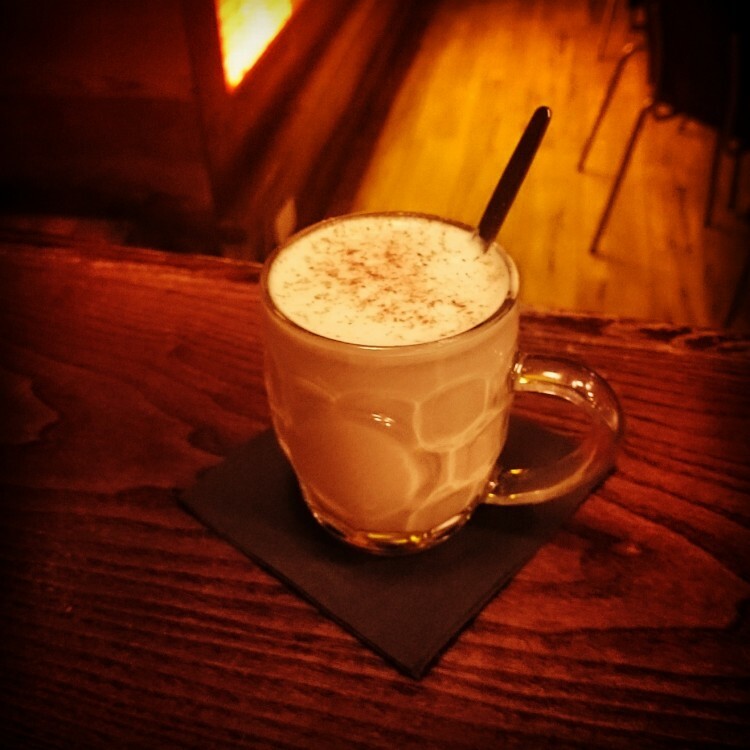 You can mix up your bitters too, a bit like our Autumn Old Fashioned on our new winter menu. A rum Old Fashioned with chocolate bitters…dessert option? In a rocks glass, add the sugar, orange zest and bitters. Lightly press the orange with the back of a spoon and mix, then add your spirit. Half fill the glass with ice and continually stir for dilution. As the ice melts, add more cubes and continue stirring; taste for dilution. Top up with ice and an optional cherry garnish. The clocks are going back and the scarves are going on…it must be Autumn once more. We have new cocktails and food available from November with some wonderful creations to try and some old favourites too, like the Pumpkin Fudge Scáiltín. Please drop in soon and warm your wellies! Chorlton Arts Festival: A celebration of music, art and creativity. Join us throughout the festival for special events including poetry, live music and art installations. Are you looking for work in the hospitality industry? Interested in working as part of a small, dedicated, customer focused team? Do you have experience in bars and restaurants? Are you living in the South Manchester area? Proof is always keen to meet new people with an interest in helping us do what we do. If you think you would enjoy working with us please call in for a chat or email a brief bio and your current CV to info@proofbars.co.uk. 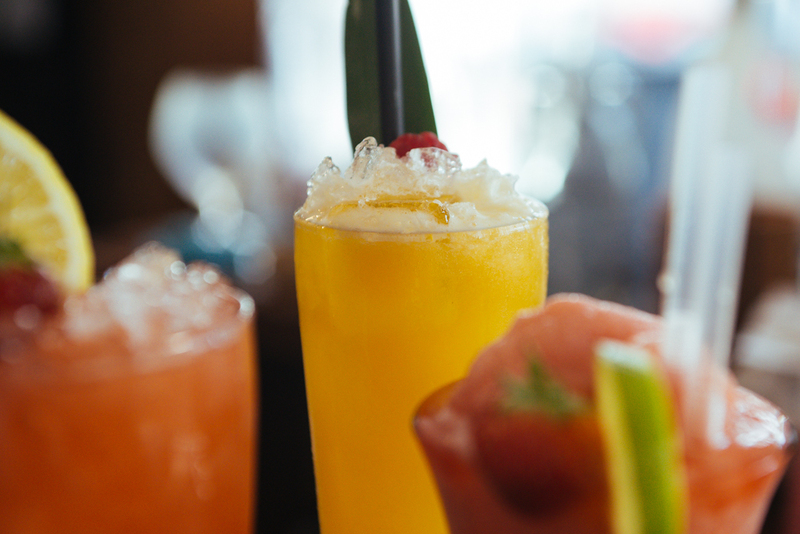 We’re working hard on creating some Spring inspired drinks and amazing new dishes for you good people to enjoy. We’re hoping to kick things off over Easter so look out for special events and tasting nights. If you come in over the next few weeks you may even get to help us test a few of our ideas! Trying to lose the pounds this Winter? Let us help you save a few with 30% off your food bill in Jan & Feb.
We have a delightful range of seasonal small plates to be enjoyed and shared with larger dinner specials also available. Not available in conjunction with any other offer or existing deal. 30% discount only applied to total food bill. Only available to tables booked in advance with a minimum of one hour before customer’s arrival. Management retain the right of refusal. Offer cannot be extended to additional party members, only to the numbers in the party agreed at the time of booking.